Self-esteem has to do with how an individual sees themselves in relation to the world around them and in their own opinion. 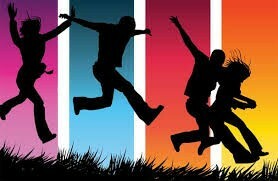 Adolescence is a transitional time where self-exploration that lays the foundation for later outcomes in life happens. Self-esteem is overall at one of its lowest points of an individual's lifespan during adolescence. Feeling alone or the need to "fit in" is very common. The opinion of others is overly important during this time. 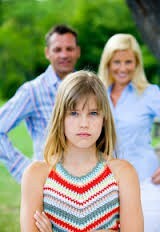 Adolescents begin to realize how different they are from everyone in many ways. A study conducted by Zimmerman in 1997 showed that individuals with a decreased self-esteem during adolescence were mush more likely to give in to peer pressure, alcohol misuse, and show a tolerance for deviance during the 4 years of the study. Self esteem is a major cause of serious depression during adolescence as well as a tendency to continue throughout the entire lifespan. Teach adolescents how to deal with stress in healthy ways. Teach about importance of differences and uniqueness, and having balance. Avoid pointing out flaws or scolding in front of others. Help them understand that all societies and people have both imperfections and virtues. Encourage decision making, don't make decisions for them but teach them how to reason and make rational decisions. Encourage the adolescent to feel comfortable to talk to you; know where you child's self esteem stands.